At Vanity, we offer a selection of eye treatments to enhance your features to give you that “wow” factor, whether it is for your day to day look or for that special night out. HD Brows is a seven step eyebrow shaping treatment that focusses on design. It involves a combination of techniques including tinting, waxing and threading, using specialist HD Brows products. Whether yours are overgrown or over plucked, HD Brows can sculpt your brows into the perfect shape for your face and transform the way you look and feel about yourself. Our eyebrows are a vital part of our personality. Not only do they frame your face, over 70% of your facial expressions depend on them! And that’s why the right brow shape and colour can take years off you. A patch test is required at least 24hours before your first treatment. With LVL Lashes, you can achieve a more natural, chic look because it allows you to make the most of what you have without the need for eyelash extensions. The lash-lifting/straightening treatment is designed to enhance your natural lashes by straightening them rather than curling them, creating the illusion of longer, thicker lashes. With LVL, there is no need to apply mascara to your lashes, perfect for those in a rush in the mornings! Lash Perfect is a UK market leading brand of semi-permanent eyelash extensions which enhance the charm and appeal of your eyes. Lashes are made thicker and longer by attaching individual synthetic eyelashes to the natural eyelashes using a medical grade adhesive. Lash Perfect lashes are light and comfortable to wear and last for weeks. 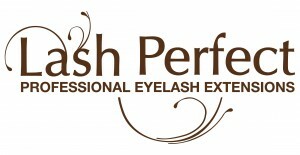 We are confident that with Lash Perfect we are able to offer you a service of the very best quality available. Regular maintenance will give you trouble free wear and provide you with an illusion of brighter, bigger eyes.